Peter uses his depth and breadth of knowledge, in both traditional tool usage skills and with a host of making techniques from many disciplines of wood based crafts, together with an extensive “hands on” experience to underpin and enrich his creative output; evident by the quality of chairs produced: his speciality. On the Register of Professional Turners (RPT) Worshipful Company of Turners of London. 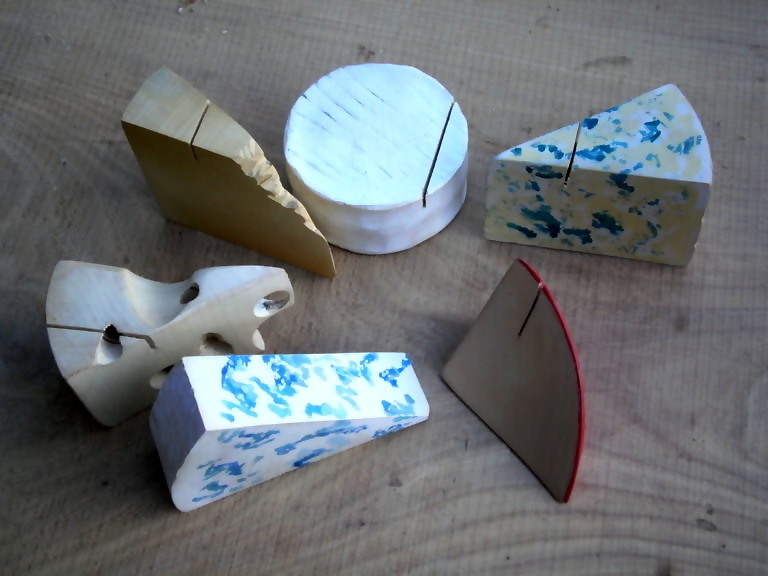 Sat on National Council for Craft and Design in Schools and Colleges (City and Guilds). 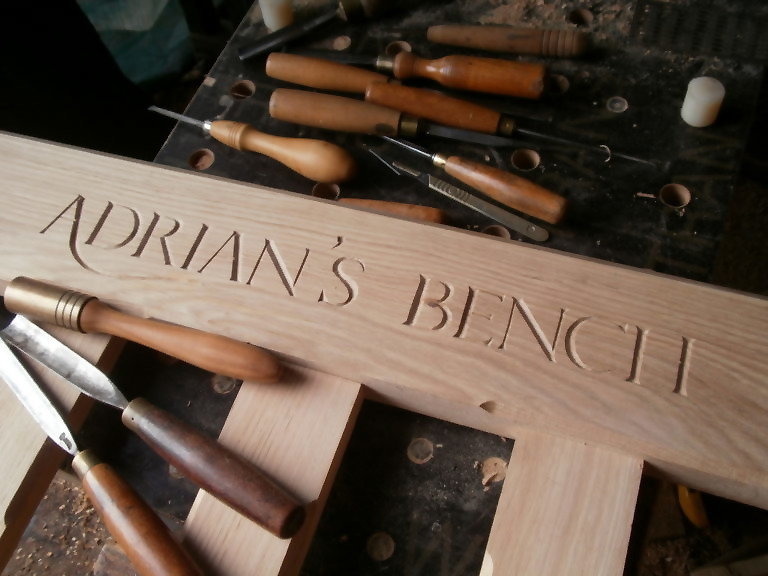 Past Director of Crafts Occupational Standards Board (COSB) Developing NVQ’s for Craftsmen. Past advisor to British Furniture Manufactures (BFM). 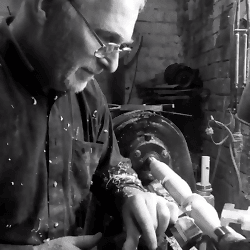 Demonstrator of woodturning techniques and projects for over 25 years at numerous venues and clubs. Exhibitor/Demonstrator at in excess of 400 county shows, events, and exhibitions including lectures on timber techniques. Currently involved with “Arts NK” and “Transported” delivering arts into the community. 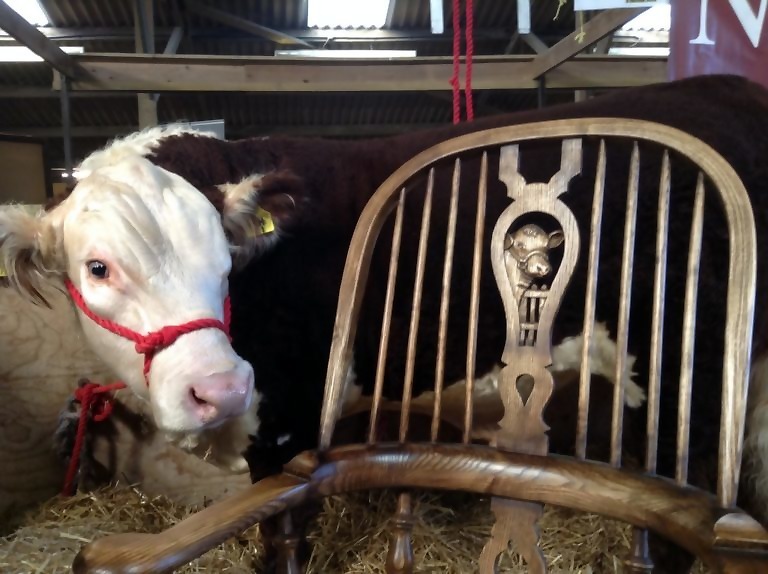 Peter is a full-time wood craftsman specialising in chair making with extensive skills featuring wood turning, creative structural design and carving. 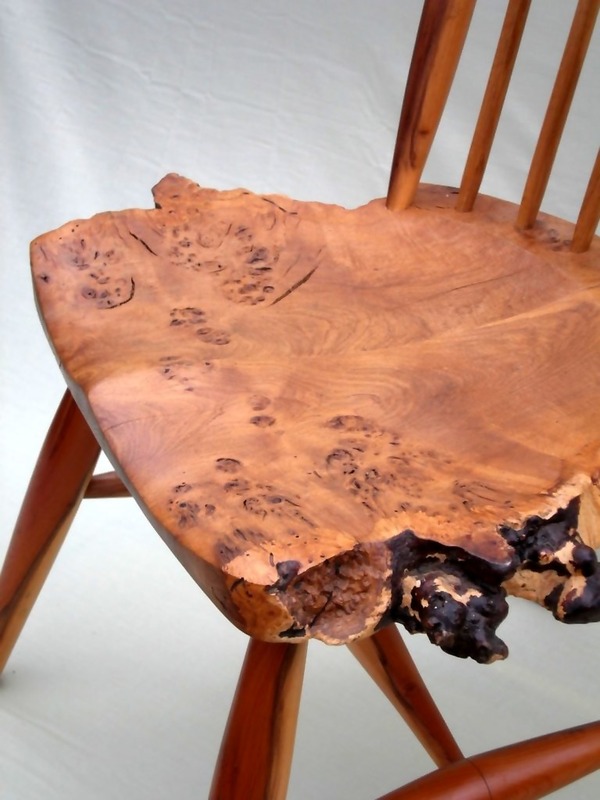 Peter's unique carved details include wildlife themes, farm animals and personal requests such as, commemorative work. 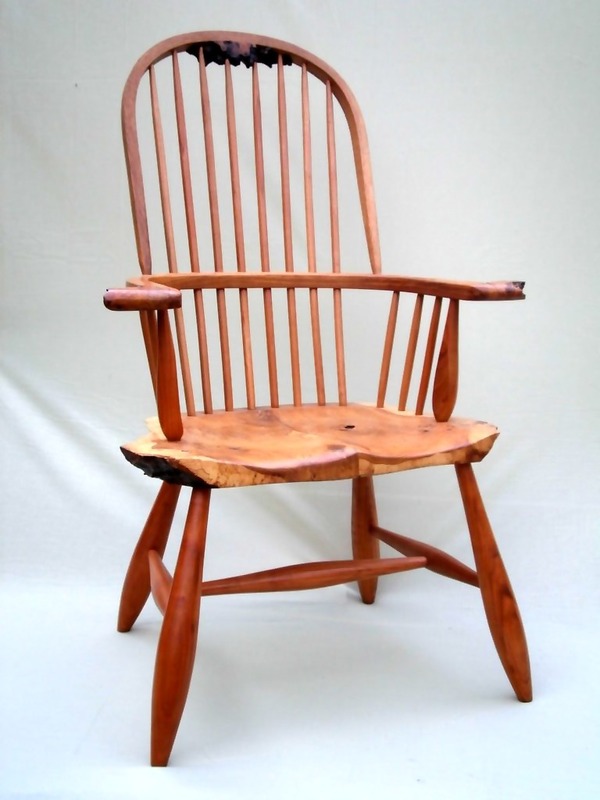 Windsor Bow-back Side Chair made from English Elm and Yew. 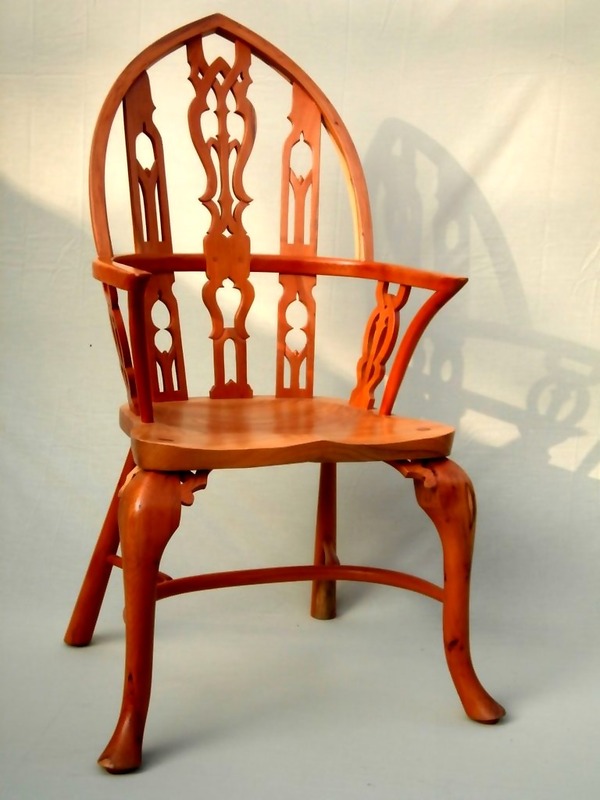 Gothic Arm Chair “Strawberry Hill” created from English Elm and Yew. “Antiqued” Lancashire Pad Arm with hand-carved back splat. Hand-carved and painted place card holders. 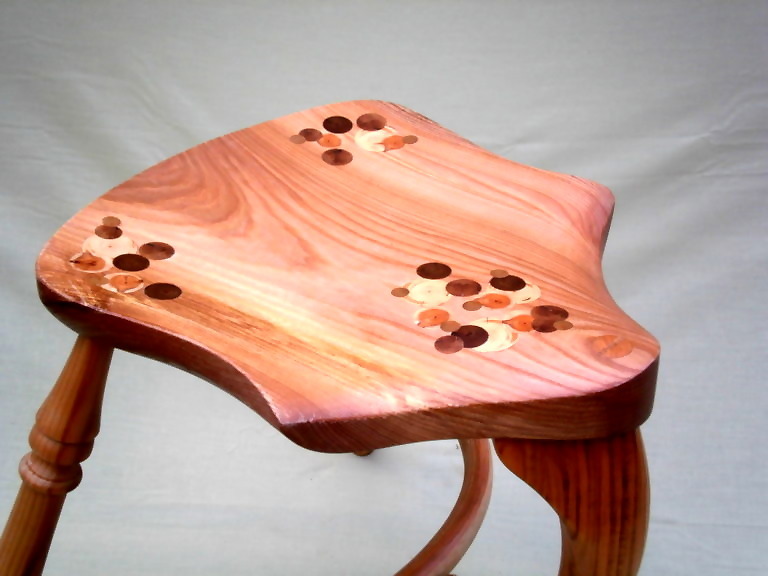 Windsor Stool inlaid with: Box Wood, Laburnum, Bog Oak, Yew, and Holly. Contemporary Windsor Side Chair created using Bur Oak, embracing its natural origin. 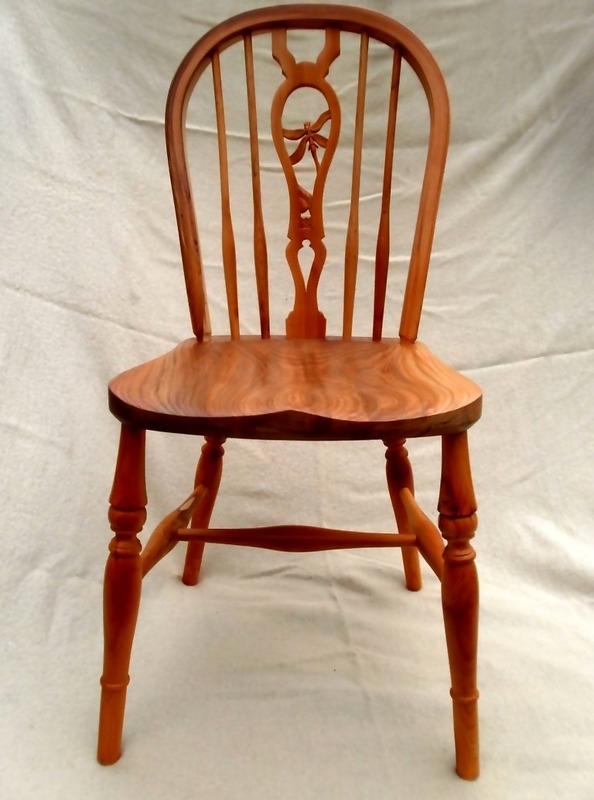 Contemporary Windsor Chair with Bur Oak seat and detailing. 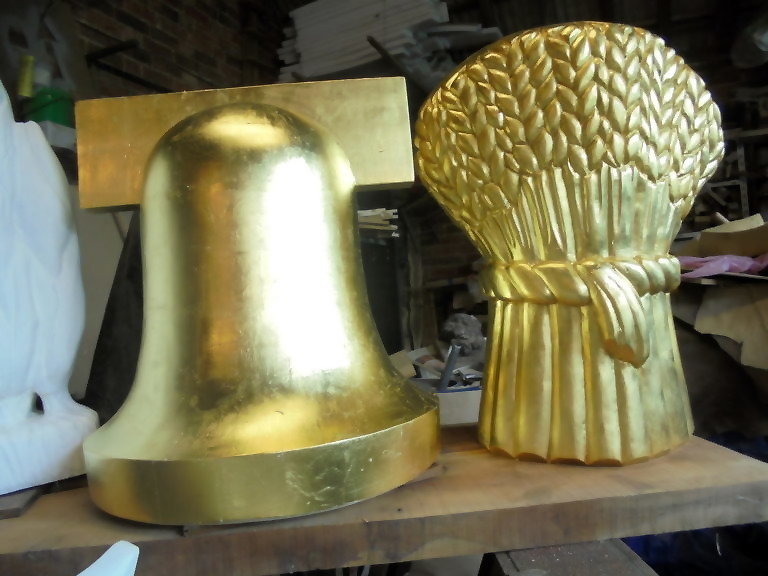 Hand-carved sculptures, gold leafed by Peter. 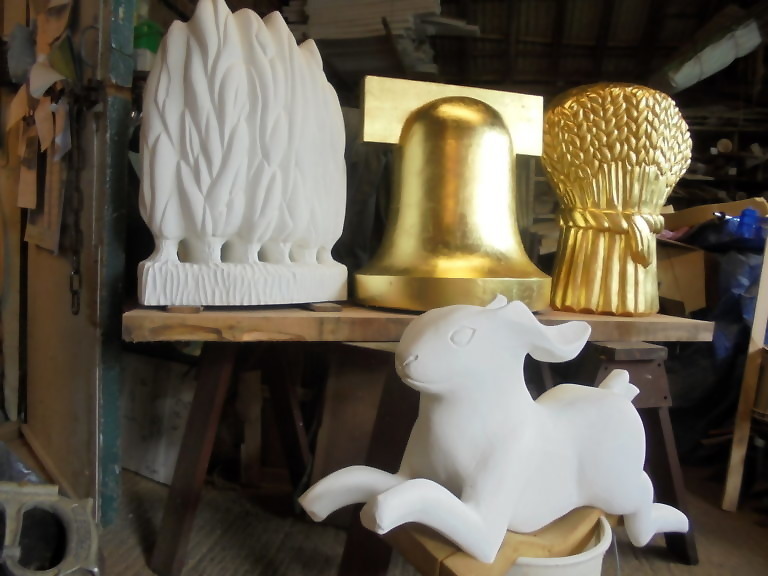 Set of hand-carved Sculptures commissioned by Ridges & Furrows Arts & Heritage Trail exhibited in Waddington, Lincolnshire. 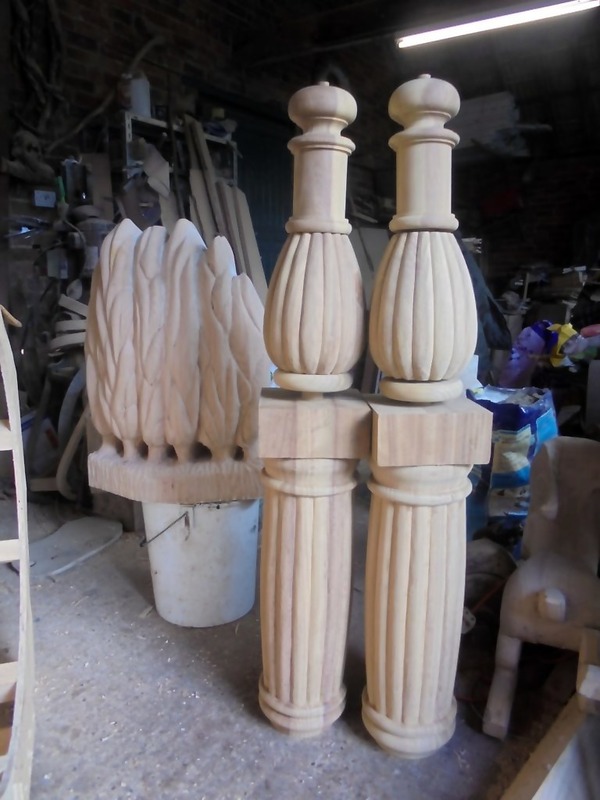 Hand-turned Bench Newel’s for National Trust, Belton House, Grantham.